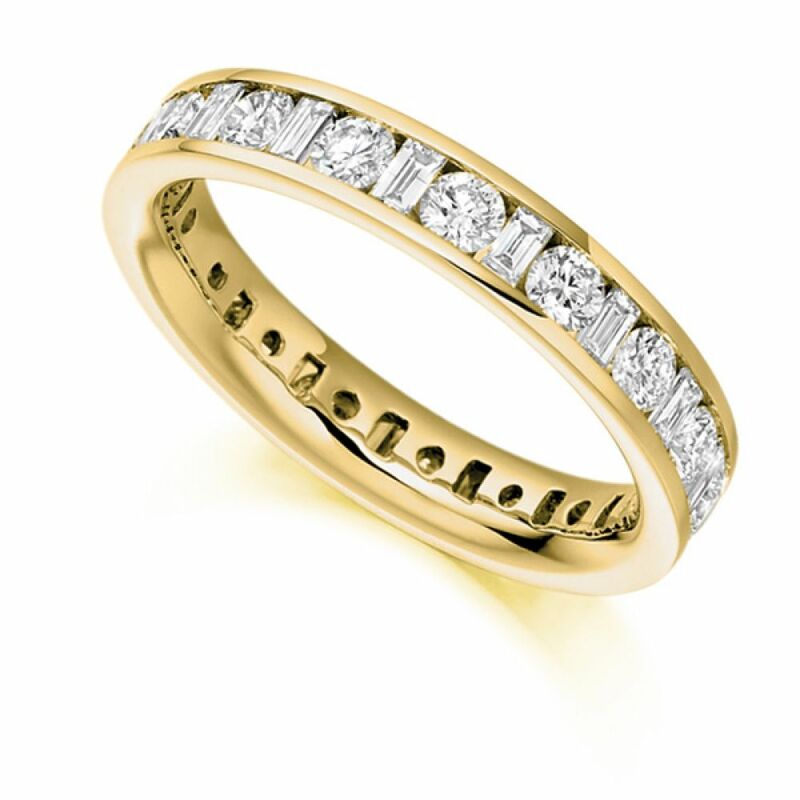 2 carat round and baguette diamond eternity ring. 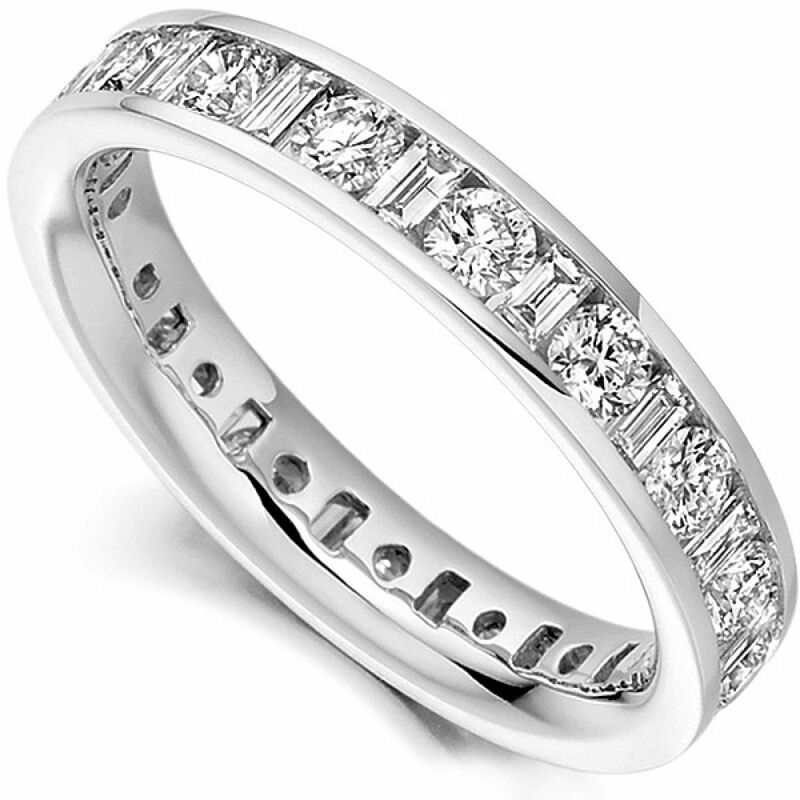 Fully set with 2 carats of alternating round and baguette cut diamonds within a 3.9mm wide band with channel setting. This dazzling 2 carat Diamond Eternity Ring features an alternating arrangement of Round Brilliant cut Diamonds and Baguette cut Diamonds. Styled within a 3.9mm court shaped band, a suite of precision set natural Diamonds alternate around the band in a channel setting. Crafted in your choice of precious metal, this exquisite Diamond Engagement Ring takes 4 weeks to craft from beginning to end. Enjoy 60 days returns, a lifetime warranty and a perfect finish with each Diamond Eternity Ring crafted under the care of the Serendipity Diamonds team.